The next full council meeting is on 30th January and questions have to be submitted by Tuesday 24th January, 5pm to the Chief Executive. Following my visit to Emmanuel Church on Romford Road on Christmas Day I was stunned at the number of homeless and vulnerable members of Forest Gate and also with the new government grant awarded to Newham I will be asking a question around homelessness, our plans and how we will partner with third sector in delivering services and support. So that leaves me with one question I can ask on 30th January. Questions from Forest Gate North residents only. Questions have to be about Newham/local government policies and decisions. Questions suggested may be modified or put with another similar question. Questions have to be submitted via the form below by Sunday 22nd January at 23:59pm (this will hopefully give me enough time to go through them all (assuming I will get any responses lol). I understand this alienates people who can’t access/use the computer so those residents can write to me or in future pop into my surgery and we can fill out the form together. Please feel free to share this post using the hashtag #FGQ (like FAQs? Get it?) I’d like to reach as many people as possible. If you have any constructive feedback please do get in touch. I’d really like to make this work, I’ll trial #FGQ for the next 3 full council meetings, (next one is the Monday 20th February 2017) and will decide if I should continue. 24. MEMBERS’ QUESTION TIME 24.1 A Member may ask the Chair of a Committee any question about an item in the report of that committee when it is being considered. 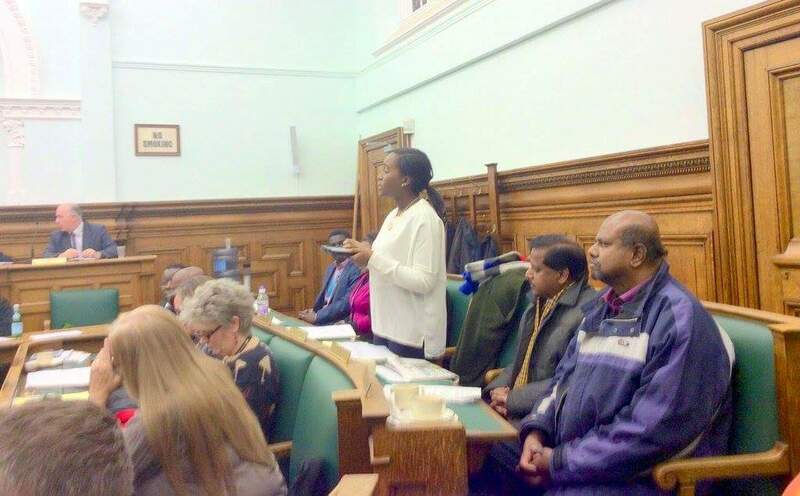 24.2 A Member may ask the Mayor, any Member of the Cabinet or scrutiny chair a question about any matter affecting the Borough, provided that three clear days’ written notice has been given to the Chief Executive. The notice should indicate whether the Member requires a written answer only. Recipients of questions have the right to delegate them to other Members for response if they deem it appropriate to do so. 24.3 With the Chair’s permission, a Member may ask the Mayor, any Cabinet Member or scrutiny chair a question relating to urgent business affecting the Borough, provided that written notice is given to the Chief Executive by noon on the day of the meeting, if possible. 24.4 The provisions of 23.2 and 23.3 above also apply to questions about the business of a joint authority of which the Council is a partner or questions about the activities of a company or external organisation to which the Council nominates and in these cases the question is put to the Member or Officer who has been appointed as the Council’s representative. [Note – This is a statutory requirement and in respect of questions about the activities of a company or outside body the Member must give 21 clear days written notice to the Chief Executive] [Local Government Act 1985] [Local Government and Housing Act 1989] 24.5 Questions are limited to two per Member per meeting, plus one supplementary question unless the Member has indicated that only a written reply is required and in these circumstances, a supplementary question is not permitted. 24.6 For questions requiring a technical or information based response, the response will be in writing. Written responses will be available to Members one hour before the start of the meeting. Oral responses will be time-limited to three minutes. Supplementary questions and responses will also be time-limited to two minutes each. 24.7 There will be a time-limit of forty minutes on Members’ questions with no extension of time, and questions not dealt with in this time will be dealt with by written responses. 24.8 The Chief Executive, in consultation with the Chair of Council, may apportion part of Members’ Question Time for questions to the Mayor and may introduce a rota for Cabinet Members and scrutiny chairs to answer questions if the number of questions warrants this. 24.9 If the Member asking a question is not present at the meeting, the question shall fall unless the maker indicates at least 3 clear days before the next meeting that they wish the question to be put to the next meeting.